Welcome to Inspired by Zelda, a new monthly feature here at Zelda Dungeon. Building off of our themed week celebrating other Zelda-Inspired games, Zelda Dungeon Editor-In-Chief Andy Spiteri takes a look at some of the best Zelda-like games that Zelda fans should know about. Join him every month on his journey, and if you know a great Inspired by Zelda game, be sure to let him know! Welcome to the Upside Down. In the regular world, free-to-play mobile games tend to not be very good. They also tend to bombard you with ads unless you drop some coins into the game. These games also typically play pretty poorly, and if they do play well, it’s usually a bare bones experience until you make a purchase. Also in the regular world exist licensed games. These games will often count on name value alone to sell themselves, worrying not so much about producing a quality product so much as a profitable one. Put free-to-play and licensed games together, and you’ve seemingly got a recipe for disaster. Truly then, we must be living inside the Upside Down, because Stranger Things: The Game is an excellent, free-to-play licensed game. Before we dive into what makes this game special, it should probably go without saying that your enjoyment of this game will be dependent on your enjoyment of Stranger Things in general. If you like the show, I can’t see any way you would not like this game. Haven’t watched it? You could enjoy this game based on its strengths, but you wouldn’t be getting the full value behind it. Don’t like the show? This game probably won’t change your mind since a lot of its charm comes from the Easter eggs borrowed from its older TV brother. 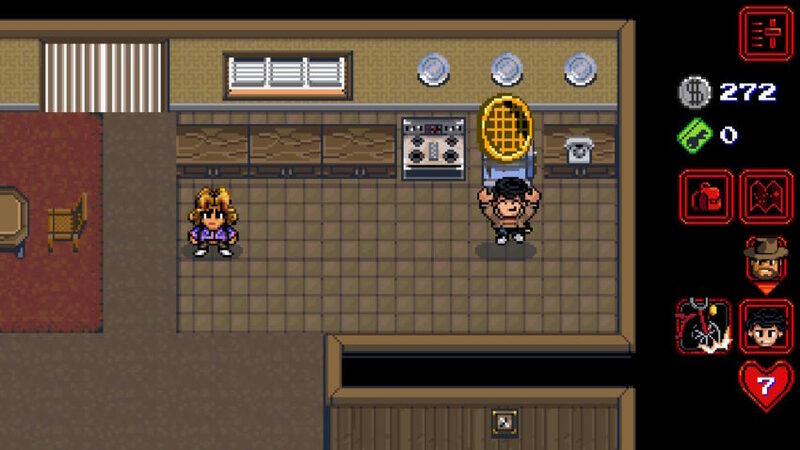 With that in mind, let’s talk about what makes Stranger Things: The Game such a great Inspired by Zelda adventure! Your game starts off in the small town of Hawkins, Indiana. You wake up (probably in rough shape if I had to guess) as Chief of Police Jim Hopper, and from there, your adventure begins. Hopper starts off his quest by trying to round up all of the Hawkins kids and get them to safety while dealing with the threat of both the Upside Down and the seedy government folks conducting experiments throughout the town. The overworld structure should be immediately familiar to anyone who’s ever played a top-down Zelda game. The map starts off smaller and more contained, but in true Zelda fashion, expands and becomes more involved as you unlock new abilities and characters. You’ll traverse some pretty cool locations that you’ve seen on the show, like the Mirkwood and the Quarry, while also getting to find more personal locals like Fort Will or Palace Arcade (where someone named Mad Max has seemed to take all the high scores). One area that I was concerned with before I began was controls. Almost every game I play on mobile tends to be a point and click game, and the reasoning for that is my big, clunky fingers don’t seem to perform well on a touch-screen D-pad. Luckily, and surprisingly if I’m being honest, the controls for Stranger Things are just fine. You click on the screen where you want to go, and your character will move there. Likewise, click on an enemy or a interactive environmental item, boom, your character goes over and attacks. It’s simple, but it works really well. One of the common threads that makes a game “Zelda-like” is the presence of dungeons and items. In this, Stranger Things really shows it’s A-Link-To-The-Past-inspiration here. The game sets you up with seven different dungeons, each taking place in some pretty cool locations across Hawkins. You’ll venture into the shady government organizations secret liar, underground sewers, and even into Middle School. There are some really creative dungeons in this game. One dungeon will have you on a stealth run going through the library avoiding guards by distracting them with cupcakes; another will have you shooting down bee’s nests in the forest with a wrist rocket to lure a bear over to defeat some tough bad guys. The bosses aren’t really anything to write home about (not being able to fight the Demogorgon is something I still can’t believe you can’t do in this game), but it doesn’t put a damper on the excellent design of these dungeons. While the dungeon progression will seem familiar to Zelda vets, items operate a little differently. Instead of actually obtaining a new item in every dungeon, you instead obtain a new character – each coming equipped with their own special ability. Will, for example, can fit through small pipes, leading you to secret areas, while Nancy wields her trademark baseball bat with nails, making small obstructions like tree logs and walls no problem for her. In addition to Hopper and Nancy, you can unlock the rest of the Hawkins Middle School gang – including fan favorite Eleven, although you’ll need to go through some hurdles to get her. 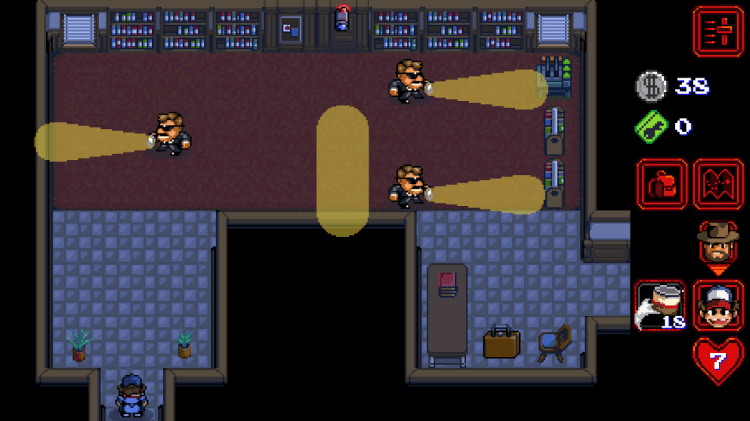 Maxine from Season 2 of Stranger Things was even added as a later playable character, rounding off the cast. You’ll always have a fast switch option between the last two characters used, and grabbing anyone else is as easy as opening up the menu and sending them out for action. If I had to pick the games biggest low point, I’d probably have to single out the soundtrack. Beyond the cool 8-bit rendition of the iconic Stranger Things theme, there’s nothing really that sticks out to me as being a memorable track. It might be too harsh to say the games soundtrack was phoned in, but you definitely won’t be hearing any ballads that can stand with Hyrule Castle or the Lost Woods. In a not-even-trying-to-hide-it reference, there are forty quarter heart pieces to be found around Hawkins. Getting almost every piece involves trade quests of some kind, but it never felt like a fetch quest for the sake of padding out the game to me. Maybe that’s because most of the characters you’re looking for items for are generally some of the shows funnier, but underutilized characters, so it almost feels like they’re getting a bit fleshed out in this game, so when Joyce needs a new phone, it doesn’t feel like a drag getting it. Again, your love for the show will probably dictate how you feel about completing the game to 100%. Between the main story, heart pieces, and other collectables scattered throughout the game, you’re probably looking at about 5-6 hours depending on what difficulty you play on, so the time commitment isn’t something you need to worry about. In the age of 100 hour games like Breath of the Wild, this is something I’ve grown to appreciate in my games. This game initially caught my eye because I’m a big fan of Stranger Things (bet you hadn’t guessed that) and I was looking for something to hold me over until Season 2 came out last year. It was free so I figured, why not? Having replayed the game for this article, I can reaffirm just how pleasantly surprised I was. To see some of the best aspects of The Legend of Zelda series put to use in a free game based on a property I love was a truly special experience for me. This game isn’t the deepest or the most expansive, and it doesn’t rewrite the book on how a “Zelda Clone” game should handle, but both times now I’ve come away really happy with this little game. If you’re a Zelda fan who likes Stranger Things, this game is a must. If you’re a Zelda fan and you want an old school Zelda-like experience, give this game a whirl. I had a really fun time adventuring in Hawkins, Indiana and exploring all of its nooks and crannies, and for a free game, how can you go wrong? The frankly surprising quality of this game makes it quite the anomaly in the world of licensed games, so I couldn’t recommend checking it out enough. 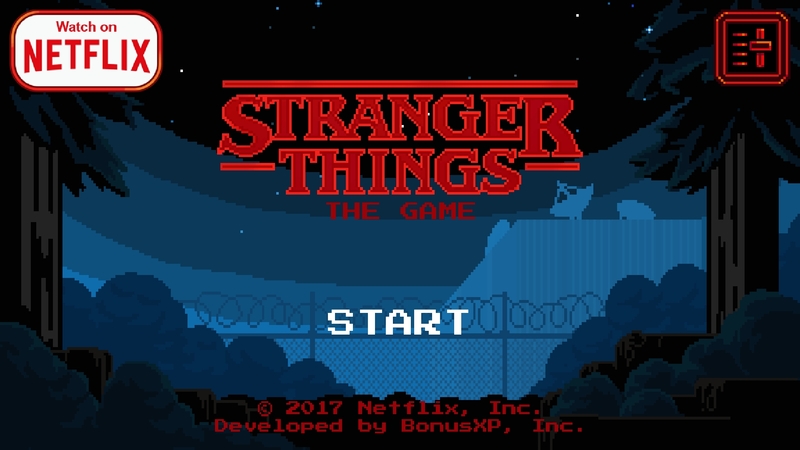 Stranger Things: The Game is published and developed by BonusXP, Inc. and is available on the Google Play Store and the Apps Store. Andy Spiteri is the Editor-In-Chief of Zelda Dungeon. If you have any Inspired by Zelda games you think he should check out, let him know on Twitter! Tagged With: No tags were found for this entry.